When one reads the histories of famous women who started out as whores, one cannot fail to be struck by the way their harlotry is frequently downplayed, couched in euphemisms or completely ignored. Theodora and Nell Gwyn are described as “actresses”, Lola Montez as a “dancer” and Édith Piaf as a “street singer”. And Wikipedia diffidently describes Olympe de Gouges’ means of support with the evasive, “She chose to cohabit with several men who supported her financially.” One can almost excuse this Victorian stuffiness in 19th-century biographies or those written for children, but in a modern account written for adult readers it constitutes an unforgiveable distortion of the truth designed to render the lives of “feminist” heroines palatable to prudish modern sensibilities and to disguise their refutation of the neofeminist dogma that prostitution is degrading. This would no doubt have infuriated de Gouges, who rejected traditional norms of female propriety, specifically listed women’s beauty as one of the qualities we “bring to the table”, and argued that the sexual freedom of women is an intrinsic part of our political and social freedom. 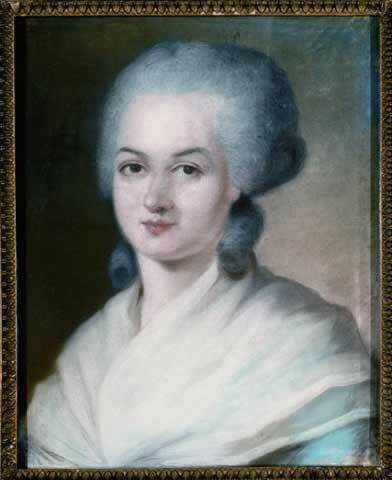 She was born Marie Gouze in the south of France sometime in 1748 (her birthday is variously reported, but was probably either on May 7th or December 31st) to the beautiful Anne Olympe Moisset, wife of a butcher named Pierre Gouze. 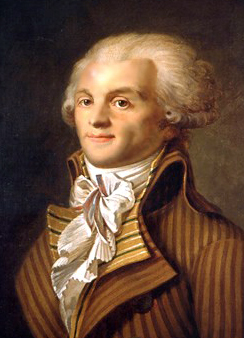 The marriage was not a happy one, and Anne was rumored to have had an affair with Jean-Jacques Lefranc, the Marquis de Pompignan; this rumor, together with the facts that Gouze died when Marie was two and that his name does not appear on her birth certificate or baptismal records, convinced her that the Marquis was her biological father and contributed to her passionate support of the rights of illegitimate children. Historians now generally agree that Gouze probably was her real father, and that Marie preferred to believe otherwise for the same reasons many exceptional or unhappy children like to believe that they are “really” the child of someone other than their common or disliked parents. She also felt a burning desire to climb the social ladder, and a noble pedigree (even an illegitimate one) supported this drive in her mind. Marie was not formally educated, and in 1765 her mother married her to Louis Aubrey, a minor government official from Paris. He died in 1768, a year after the birth of their son, Pierre; Marie was actually quite relieved because she despised him. 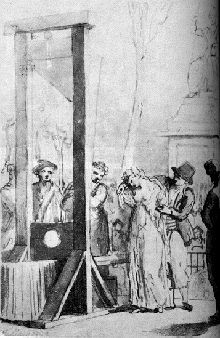 She refused to conduct herself as a widow was supposed to, instead moving to Paris in 1770 (sources disagree as to whether she left Pierre with her mother or took him along) and changing her name to Olympe de Gouges. She supported herself as a courtesan, relying on her exceptional beauty and the carefully-encouraged rumor of her noble paternity to gain entry to higher social circles and a wealthier clientele. In 1773 she established a long-lived association with the wealthy and educated Jacques Biétrix de Rozières, who introduced her into the salons where she made a number of influential friends and professional contacts. Around this time she learned to read and write, and decided to become an author; accordingly, she embarked on a campaign to educate herself by reading everything recommended to her by her intellectual friends and clients. By 1784 she began to publish essays and plays, always on social and political topics; Zamore et Mirza, for example, had an anti-slavery theme. Unfortunately, her plays were terrible; the dialogue was awkward and wordy, and her grammar was very poor. But her essays made up in energy what they lacked in style; she was extremely passionate about human rights, and therefore supported equal rights for men and women and the abolition of slavery. She did not believe that men and women were the same, but rather argued that our different strengths and weaknesses combined to form a better and more balanced society. As political tensions increased in the 1780s, de Gouges advocated reforms which she believed would head off revolution, accomplishing change without violence. She urged the King to grant reforms, and when he failed to do so she suggested he abdicate in favor of a regent government which could bring the growing revolution under control. Her writings criticized and lampooned extremists on both sides, and she continued to preach moderation as conditions degenerated into chaos. Though she supported the Revolution, she abhorred its violence and the fact that women had been denied equal rights; she considered this a betrayal of one of its core principles, égalité. In October of 1789 she spoke before the Assembly and proposed a feminist agenda which included legal equality, marriage and divorce reform and better education for girls, but her concerns were dismissed and she grew increasingly disenchanted with the new government. In 1791 she organized a feminist association called the Society of the Friends of Truth and published Déclaration des Droits de la Femme et de la Citoyenne, a response to Déclaration des droits de l’Homme et du Citoyen (the primary declaration of Revolutionary principles). Though her last words are not known to have come true in any direct fashion, I gave them a fictional consummation in my story of one year ago today, “Carnival”, which takes place almost four months later. Even in real life, though, history has a far higher opinion of Olympe de Gouges – courtesan, writer, philosopher and feminist in the truest and noblest sense of the word – than it has of her enemies, whose names have become synonymous with bloodthirsty tyranny. As always your biographical profiles are interesting. Will and Ariel Durant in their 12 vol. History of Civilization were not prudes. They relate one episode during the reign of Charles II when Nell Gwyn was mobbed by an angry crowd that thought she was the King’s Catholic mistress. Nell leaned out of the coach and said, “Nay, good sirs, I am the King’s Protestant whore.” This saved her life. The most interesting posts, and the most self-indulgent to read, are your biographical ones. I like how you dragged in the Neofeminists-always-misconstrue-deliberately tone. It’s true; feminist hagiographies need that. It especially annoys me when they try to claim for themselves an historical personage who would’ve opposed their interpretation of “feminism” tooth and nail. France certainly has had some great courtesans. Maggie, are you familiar with Liane de Pougy and “La Belle” Otéro? Not only were they famous in their own right, but they had a prominent rivalry between themselves during the Belle Epoque. This is totally unrelated, but there’s a new French film called House of Tolerance about prostitutes in France after the Belle Epoque. Have you heard of it? What’s your take on Aphra Behn? She was the first Englishwoman to earn a living writing (her plays are not put on often nowadays; Restoration theater is a specialized taste) and she may have been a spy. I did study Aphra Behn (my undergraduate degree was in English Literature) but I’m afraid I must admit I don’t remember anything about her. She didn’t make as much of an impression on me as the various Romantic period characters did. I always look forward to these biographies. Again, history shows that the true feminists have often been whores. Thanks, Thierry; you may be interested in some of my other bios of famous harlots. As a huge fan of Olympe de Gouges can I beg anyone interested in her to discover this great woman through her own words. As an author her reputation should rest on her works (as would a man’s) and not on her lifestyle. Her texts are passionate, intelligent, witty, courageous, full of energy and irony and have long been sidelined and misunderstood. I have translated many of these into English, freely available, on http://www.olympedegouges.eu, so get reading – then at last her voice can speak for itself. Society starts with looking at our intimate and personal relationships with the opposite gender using the same perspective; This is, in fact, where the emergent behaviour of “society” originates from.